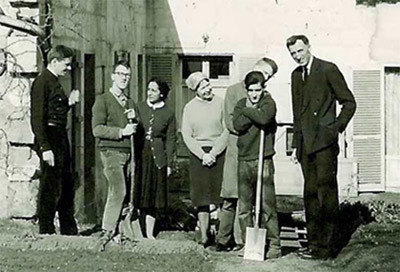 L'Arche began in 1964 when Catholic theologian Jean Vanier visited French asylums for persons with intellectual disabilities. He was overwhelmed by the sadness of these institutions, and recognized the need of their residents for being part of a community. He bought a small house in Trosly-Breuil (France) and invited two men to move out of an asylum and live with him. That home still exists, and Jean Vanier still lives there. "The secret of L’Arche is relationship: meeting people, not through the filters of certitudes, ideologies, idealism or judgments, but heart to heart; listening to people with their pain, their joy, their hope, their history, listening to their heart beats." L’Arche is a model of intentional inclusive communities where people with and without intellectual disabilities live and work together as peers. The concept grew and spread in France and throughout the world. L’Arche Daybreak was opened in Toronto, Canada, in 1969. The first l’Arche to incorporate people of the Hindu faith opened in India in 1970, showing that the concept transcends cultures. L’Arche Erie (Pennsylvania) became the first to open in the US in 1972. Today there are 18 l’Arche communities in the US, and 129 others in 40 countries worldwide. "L’Arche’s first seeds were planted in the earth of the Roman Catholic Church. Through God’s grace, others seeds were planted in other soils...L’Arche became ecumenical when it welcomed men and women with [disabilities] who belonged to different denominations and different religions." The name "l’Arche" means "the Ark" in French. Many faiths - Christian, Jewish, Muslim, Hindu, and earlier cultures - tell stories of a boat saving people from a world-devastating flood. The symbolism of an Ark for these communities is apt; they are places where people are safe. The friendships formed among l’Arche residents transforms society as they cross social boundaries and affirm the importance of all community members, including those with intellectual disabilities. 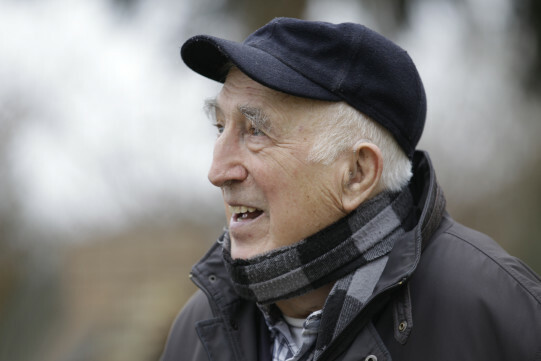 Founder Jean Vanier has written 30 books explaining the l’Arche concept and how it has changed his life. His words about the importance of community in all our lives are truly inspirational. He received the 2015 Templeton Prize for his exceptional contribution to affirming life’s spiritual dimension. "The heart gives and receives but above all, it gives." Virtual Ability member Mook Wheeler has created a number of displays and exhibits on Healthinfo Island about l’Arche, Jean Vanier, and the concept of community for persons with disabilities. Please visit them to stimulate your thinking about information provided during the 2016 International Disability Rights Affirmation Conference, November 18 and 19. Why is Community Important to People with Disabilities?